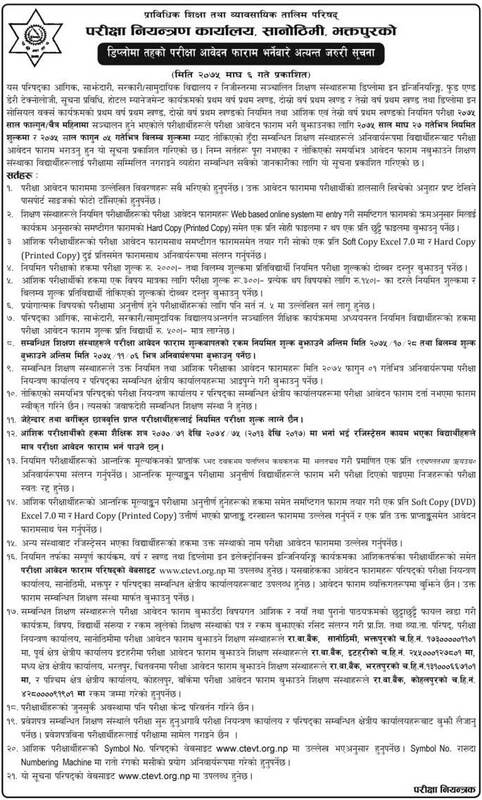 Council for Technical Education and Vocational Training (CTEVT) has published an urgent notice regarding extension of deadline to fill the application form for Diploma level. Examination for all the Diploma level programs are going to be held in the month of Falgun/Chaitra, 2075. Council for Technical Education and Vocational Training (CTEVT) has published an urgent notice regarding examination form fill up for Diploma level. Examination for all the Diploma level programs are going to be held in the month of Falgun/Chaitra, 2075.